Gerda Govine Ituarte published her first poetry art book, Oh Where is My Candle Hat? in collaboration with artist Luis Ituarte in English and Spanish in November 2012. A CD recording of the book was produced in both languages. Her second poetry art book, Alterations | Thread Light Through Eye of Storm, will be published March 2015 in English, also with art work by Ituarte. Her poetry has appeared in the San Gabriel Valley Poetry Quarterly, Poetry and Cookies, HomeTown Pasadena, and Frontera-Esquina magazine in Tijuana, Mexico. 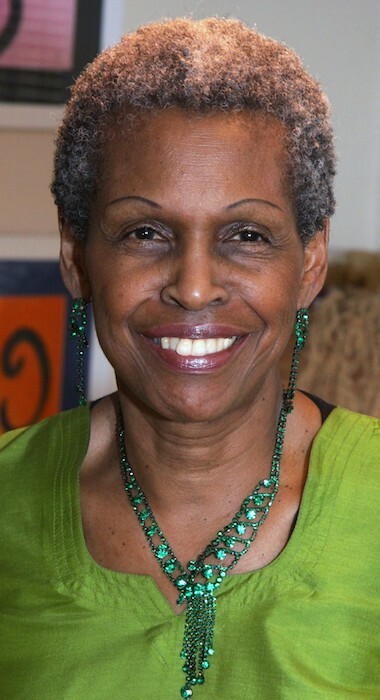 She is a member of poetry writing workshops led by Kate Gale, of Red Hen Press, and Rae Ballard, and of the International Black Writers and Artists Association and Public Address, an artist think tank. In addition to being a poet, curator, and columnist, she is the head of G. Govine Consulting and serves as an expert witness, litigation consultant, and mediator in the area of gender, race, and age discrimination. Born in St. Thomas, Virgin Islands, she emigrated to New York City in the mid-fifties and now lives in California. Susanna, daughter of a dear friend, invited me to join her, her new boyfriend, and her mom for a weekend trip to the Cetto wine festival in Via de Guadalupe, Ensenada. I know that she wanted to spend more time with her boyfriend than with her mother and me. The morning of the event, I wore a white shirt, white skirt, matching silver jewelry, sandals, and a stylish bag. During the three-hour drive, I held Elba’s attention with conversation, jokes, and stories that kept her giggling while the love birds cooed. As we walked into Cetto, there was a grape-stomping contest (shoes off), wine tasting, and an announcement and display of three paintings featuring grapes that won the art competition. I saw my first bullfight; it was unsettling and graceful. Food tables were stacked with food. Each dish tasted better than the one before it. Beef, chicken, rice, beans, tortillas, wine, and more than I can remember. The magic of the sunset lingered.